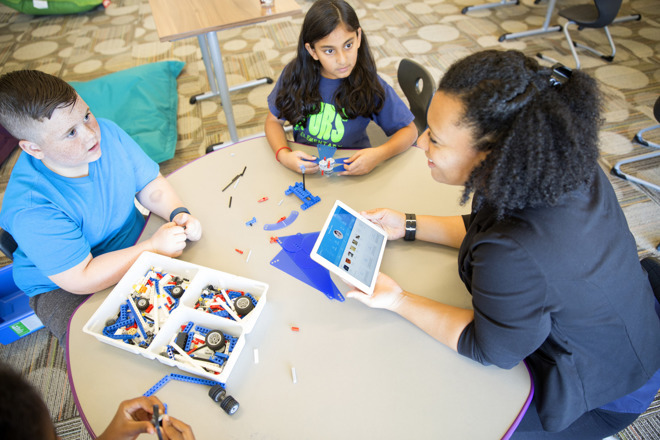 On Wednesday, Apple and IBM announced the latest fruit of their MobileFirst enterprise collaboration, IBM Watson Element for Educators, in fact representing their first joint app in the education arena. Designed for the iPad, Watson Element is meant to track not just the academic performance of students but also things like interests, accomplishments, and behavior. Teachers can add notes as needed, such as when a student's soccer match is coming up, or if someone injured themself during recess —other teachers will be able to see this and check on the student's health. The app also has hooks for IBM's Web-based Watson Enlight, meant to enhance lesson planning. Using AI, the technology will suggest material tailored to individual students, like a more visual approach and/or something based on their hobbies. Watson Element is already in use with the Coppell Independent School District in Texas. Going forward, Apple will be helping in its adoption, pushing it as part of its packages for schools. Together Apple and IBM now have dozens of MobileFirst apps, each oriented toward a specific industry. The two companies have become closer in other ways as well. Earlier today, for instance, the company revealed that it's internally deploying about 1,300 Macs per week, and expecting to hit 100,000 Mac users by the start of 2017.